‘Tis the season for charitable giving. If the bell-ringer outside your local grocery store doesn’t convince you to donate your pocket change, maybe you need some encouragement from Tinker. 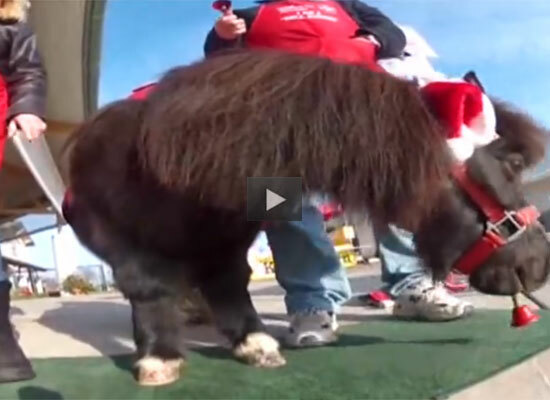 This talented Miniature Horse dons his holiday best, performs tricks and, of course, rings his bell in West Bend, Wisc to solicit donations for the Salvation Army. 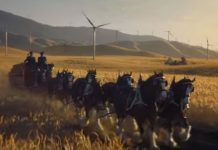 Naturally, he outshines his two-legged counterparts, reportedly scoring 10 times as much in donations as the average human volunteer. Besides being adorable AND philanthropic, it appears that Tinker travels to his volunteer gigs in the back of a minivan. He’s truly a one-of-a-kind equine, so much so that he made the Associated Press take notice. 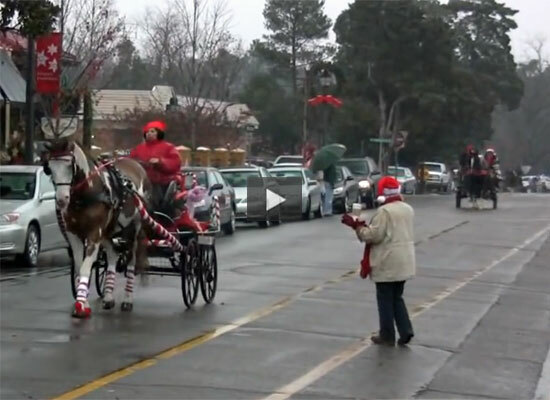 What better way to get into the holiday spirit than a horsey Christmas parade? 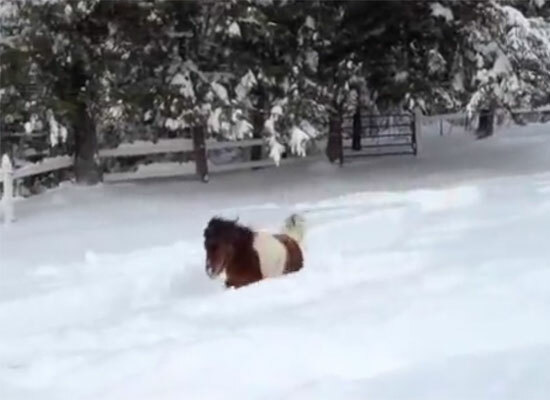 The snow drifts might be as tall as he is, but that won’t slow Mister Buddy down. 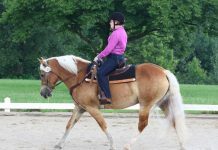 This handsome Haflinger has an amusing, but slightly rude, talent. Who knew dressage could be so stinkin’ cute? Very cute and Very nice of Tinker to raise that much money for the needy! Way to go Tinker! i love it.MERRY CHRISTMAS TINKER. Love Tinker the Bell Ringer! So cute! Oh she’s so cute and talented!